The choice of method of learning any foreign language depends not only on the specific purposes that you may want to set for ourselves, but also on other important factors. Usually two of them: how fast you can do it, and how much will the learning process. Sign up for courses in the Czech language.There you will be able to learn the language in a group, communicating with like-minded people. Studying any language, it is always good to start classes with a professional teacher that will help you to understand the grammar and correctly sistematizirovat material for the learning process. But if the group is large, it is likely that the teacher will not have enough time to pay attention to each student. And, having studied some basics of grammar, you may face difficulties in communication skills. Take private lessons from a tutor, if you can afford it. Therefore language acquisition will be faster, you will be able to successfully develop oral communication skills. Individual approach will allow you to quickly master speaking skills, and improve the overall quality of education. For example, to obtain additional information about the country, customs and traditions. But do not forget that the cost of private lessons is much higher for those held in groups at courses. And if you are relying on a small amount, this method may not suit. Minimum of material costs, you will be learning the Czech language online via the Internet. Now open a wide access to various online courses, training programs. In the online library, you will find different textbooks, phrasebooks, dictionaries. And it's absolutely free. But this method is designed for those people who can and are used to working independently, because it requires a fairly high self-organization and discipline. If you are inclined to practice regularly and on your own – this way for you. To improve the writing in the Czech language, find pen pals, use the social network. This will help you to improve your vocabulary, and broaden knowledge of grammar. Listen to songs, sound recordings in the Czech language. Watch movies with subtitles: thus you will better understand by hearing the Czech language. But the biggest effect you will achieve in learning the Czech language, if you pass the training at a language school directly in the Czech Republic. This is the most costly method of all the above, but also the most effective. Learning the Czech language is possible and in Moscow. There are courses at MSU, as well as in the Czech house. 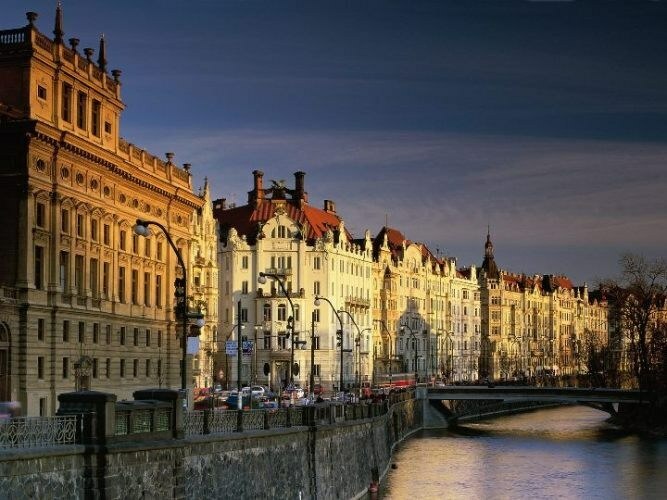 Many say that the Czech language is best to study in Czech language courses. And it's true! There is no better option than the teaching of a foreign language with native speakers. There are various language schools at universities in the Czech Republic.